Smart transports national football teams to the Euro 2020 qualifiers. 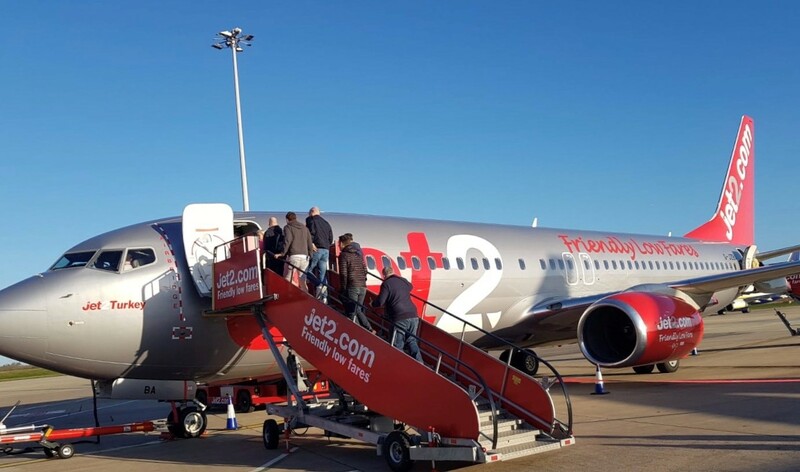 Leaders in sport travel since 2005, Smart Aviation, have had a busy weekend transporting national teams for the Euro 2020 qualifiers. Clive Head, our experienced Charter Broker for sports charter is our ‘go-to’ person for arranging flights for sports teams and fans. Clive has a long-standing relationship with his clients who always turn to his expertise when booking some of the highest profile and well-known sporting names. This weekend Smart Aviation chartered 7 flights, transporting national teams to their destinations ahead of the fixtures. Our operations team were monitoring flights using industry leading flight watching systems, ensuring all flights had departed and arrived on schedule. At Smart we pride ourselves in our aviation industry experience. We’ve earned a reputation for a specialist charter broker who can provide cost effective and quality aircraft charters with no compromise on service. Contact Clive Head for your upcoming charter requirements.